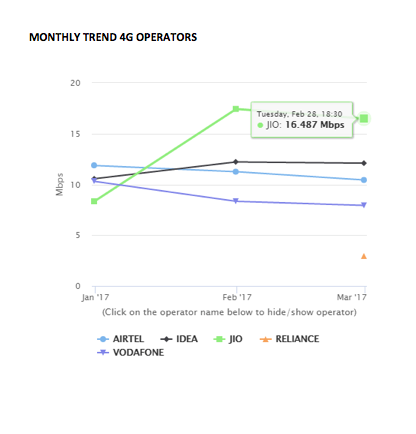 Home 4G Airtel jio ookla Vodafone Jio again Wins the Speed Competition . Jio again Wins the Speed Competition . Reliance Jio filed a complaint against Bharti Airtel last week. Bharti Airtel had been claiming that they are the fastest mobile internet carrier in India. Reliance Jio mentioned in their complaint that the title given to the Airtel was false and incorrect. The title was awarded to Airtel by Ookla 2016 Awards held on February 24. Airtel’s claim has been grounded by the ASCI (Advertising Standards Council Of India) as the title awarded to Airtel was misleading and false. Airtel has been asked by the ASCI to modify the advertising or to withdraw it by 11th April 2017. 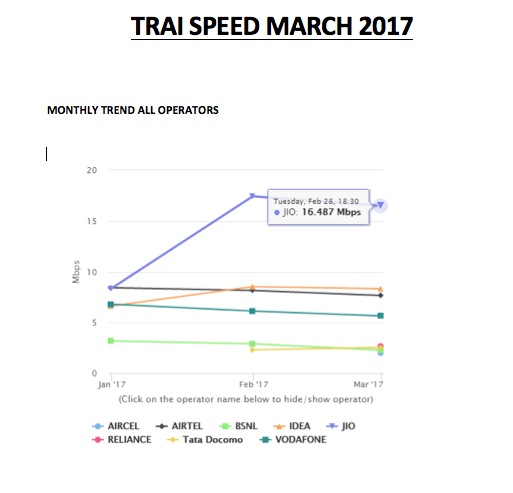 And now TRAI made the statement that Jio is the the operator giving the fastest Speed on the day. 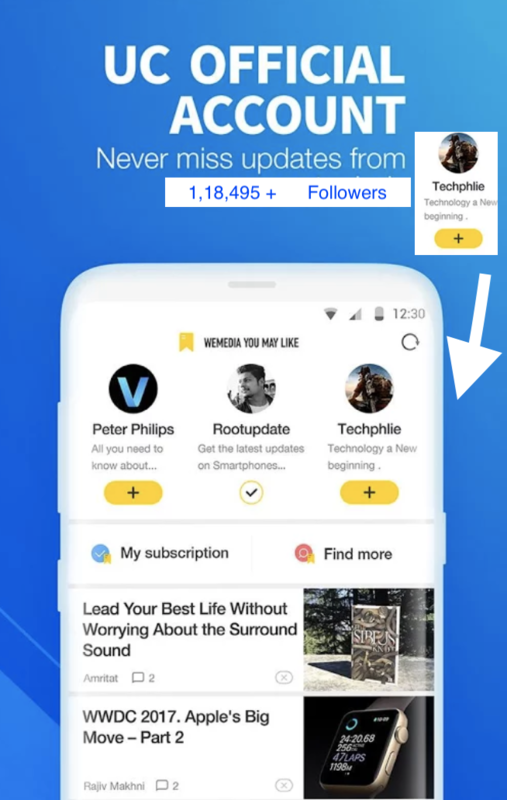 Even following Data and Analysis shows the same . 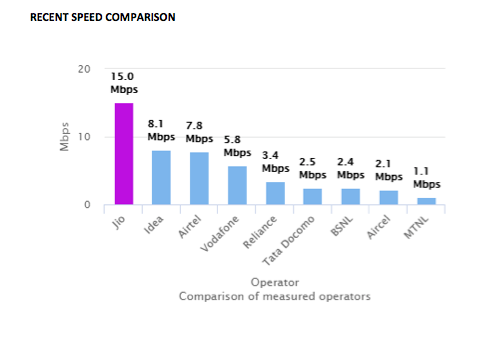 Above Data clearly Makes jio the king of speed . So sit back and take advantage of all jio offers at great prices.